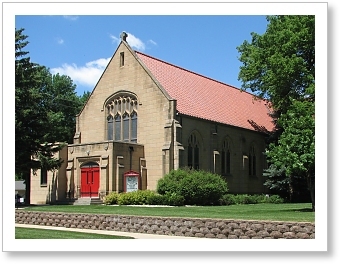 Welcome to the web site of St. Mary's Episcopal Church, which is located in beautiful Mitchell, SD at the intersection of Third Avenue and Duff Street. We are a welcoming community of people dedicated to the praise and adoration of our Lord Jesus Christ through our worship and through our lives. Our worship is oriented toward the 1979 Book of Common Prayer and is prayerfully filled with hymns many have come to cherish. When you visit us, we know that you will be made to feel welcomed and fully part of this portion of the Body of Christ. We look forward to meeting you and greeting you in the name of Christ and pray for all of God's blessings to be upon you.